The plenum box folds flat for transport and storage and takes up very little space. Erecting the plenum box is easy and it is ready for installation in no time at all. 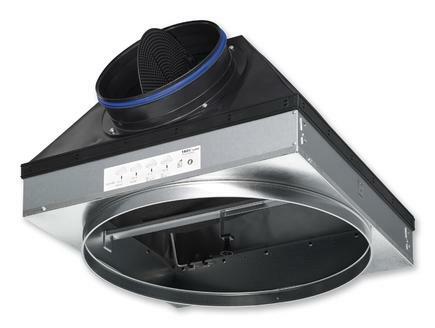 The unique shape of the plenum box and a newly developed air distribution element provide a particularly efficient air discharge and a uniform air flow through the ceiling diffuser. As a consequence, the air is evenly distributed in the room. A spigot with double lip seal provides a low leakage connection of the plenum box to the ducting, and a damper blade for flow rate balancing simplifies commissioning.